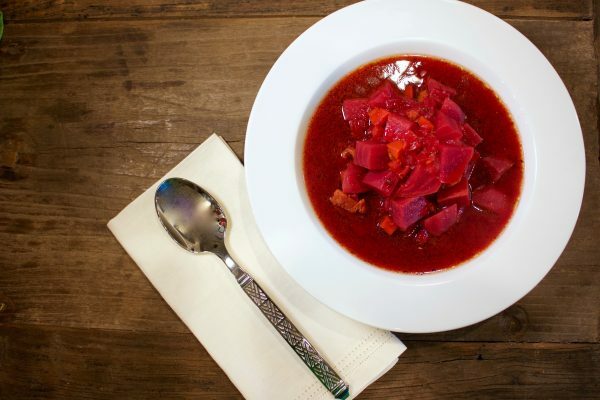 From its humble beginnings around the Mediterranean, the table beet (beta vulgaris) has spread to all continents of the world, although information on Antarctica is surprisingly hard to come by… Historically, beets have been consumed in many ways: medicinally in ancient Rome, fresh (both the greens and the roots) in salads, made into soups (think borscht), pickled slices and shreds to name just a few. In some parts of the world, it is a menu staple. Today, beets are popular as a processed product sold in stores or as fresh greens and roots. Yes, sugar beets, a rough, white cone-shaped relative, are of the same family but are mostly grown commercially for sugar production since sugar beets require much less water to produce than sugar cane. Beets are high in fiber, vitamins A and C and have more iron than most vegetables. They are also rich in antioxidants, calcium, potassium, phosphorus and folic acid. A beet’s red color comes from an antioxidant called betalain, which was used as an ingredient in makeup that produced the ‘red as a beet’ coloring and saying. Betalain is an excellent source of red color pigment and can be used as natural dyes or food coloring agents. Today, beet juice is being marketed as a natural energy drink, powders are encapsulated as nutritional enhancements and slices are being dried as chips. 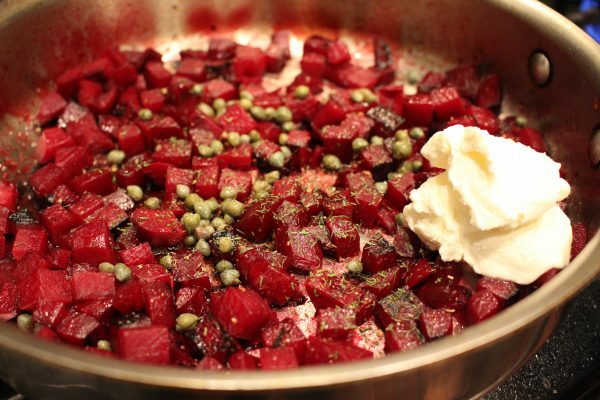 More conservative approaches are to roast the beet or thinly slice it in a fresh beet salad. 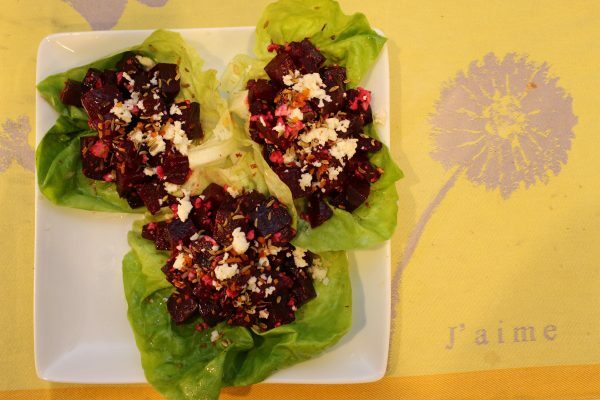 Baby beet leaves have gained popularity as a salad green in recent years. Several varieties are produced specifically for the baby leaf market, such as Fresh Pak and Fresh Start. As a superfood, beets are gaining popularity with all segments of the market. Merlin is a hybrid variety that is high in sugar content (12-15% brix) and excellent in fresh salads or juiced. Although beets are a biannual crop (they flower in the second year of growth), the roots can be grown annually in 50-95 days depending on climate and desired root size. Plant seeds directly into the soil, ¼- ½ inch deep and 1-2 inches apart in rows or blocks and keep evenly moist to encourage germination. Beet ‘seeds’ are actually little clusters of 2-4 seeds. Thin out (and be sure to eat) seedlings by pinching or snipping when they are 1-2 inches tall to encourage larger well-shaped roots for harvest. After thinning, plants should be spaced about 3 inches apart. They prefer slightly acidic soils with some boron content and limited nitrogen. Beets like about 1 inch of water per week. They will tolerate cool temperatures and are usually planted in the spring or early fall and can withstand cooler temps before harvest. Roots are normally harvested either by gently pulling the tops or digging the roots when they are about 2 1/2” to 3” in diameter (but can be harvested larger or smaller as desired). Root size is strongly determined by sowing density. Beets grow well in containers also. 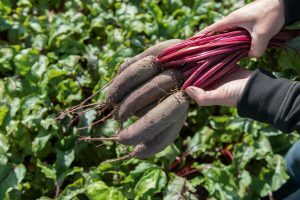 Beets are typically red to purple in color, both internally and externally, but some varieties are yellow or red with white rings internally, like Touchstone Gold and Chioggia Guardsmark. Avalanche, a recent AAS winner is pure white and very sweet. Traditionally, beets have fairly low sugar content, 6-8% brix, with some varieties as high as 15% brix. Table beets can come in multiple shapes. The most common is the globe shape, (like AAS Winner Ruby Queen) but they can also be cylindrical (like Cylindra, Alto or Rodina), top-shaped, flattened (Crosby Egyptian types) or blocky. Some traditional varieties in the USA include Detroit Dark Red (great for canning or pickling), and Early Wonder Tall Top for greens and roots. Beetroots store well, both in the ground and after harvest and every part of the plant is eaten making them a gardener and kitchen favorite. Beetroot has a reputation of having an “earthy” taste that some love and some do not. New hybrid varieties have much milder flavor and higher sugar content attracting new American fans every year. It is a perfect food for the health conscious as well as easy and fun to grow in the garden. It could very well be the kale of the 21st century. Enjoy! The National Garden Bureau recognizes and thanks, Ken Reid from Sakata Seed as author and contributor to this fact sheet. 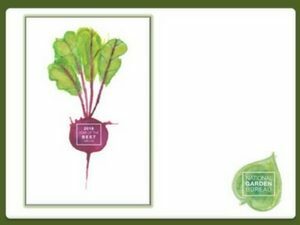 Merlin Beets are a smooth, uniform, round beet with high sugar content. Available in organic and conventional seeds. 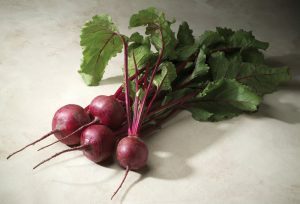 Taunus Beets are very uniform, with deep purple flesh, minimal zoning, and high resistance to cracking. Harvest at full size or as baby “fingerling” beets. 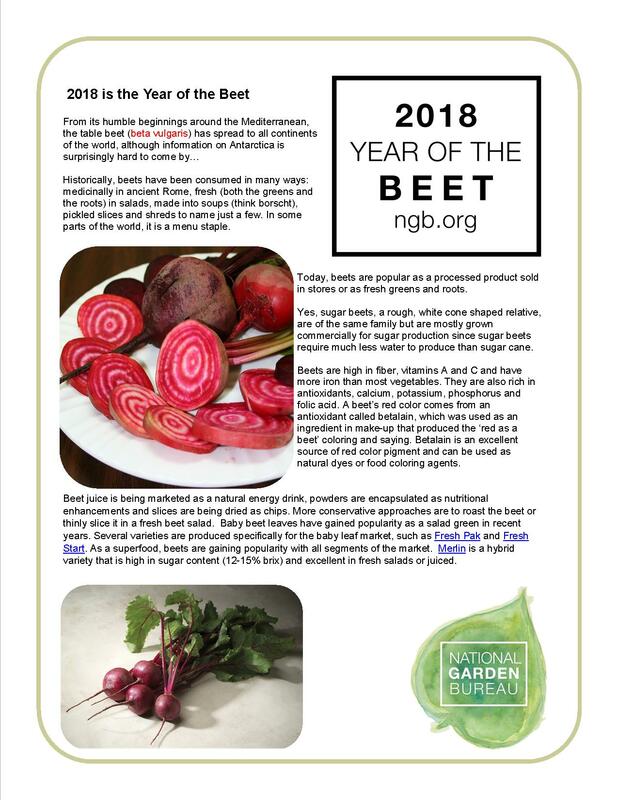 Download the Year of the Beet presentation on SlideShare. Love beets? 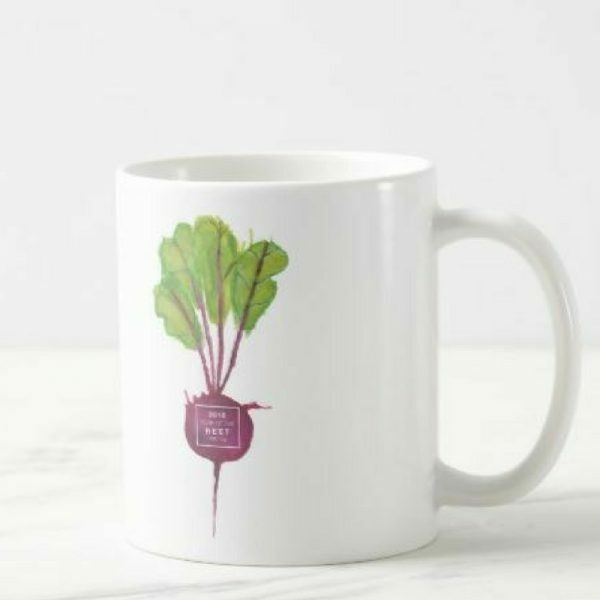 You are going to love these beet items that you can order from our NGB Store. 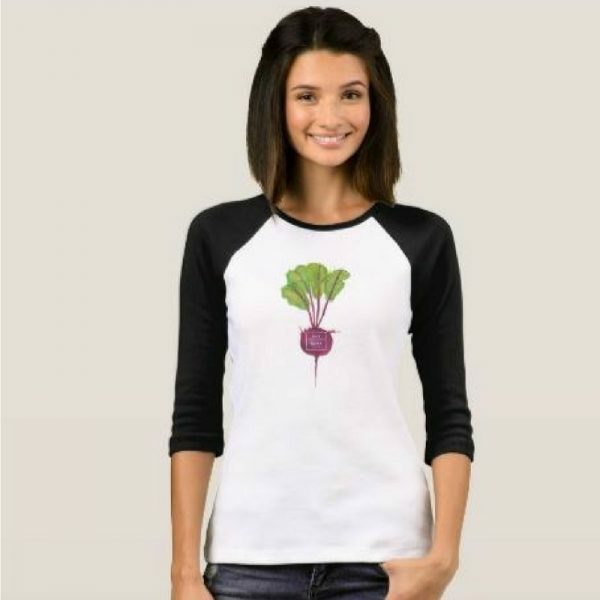 Choose your favorite color, neckline, and sleeve and show your love of beets! 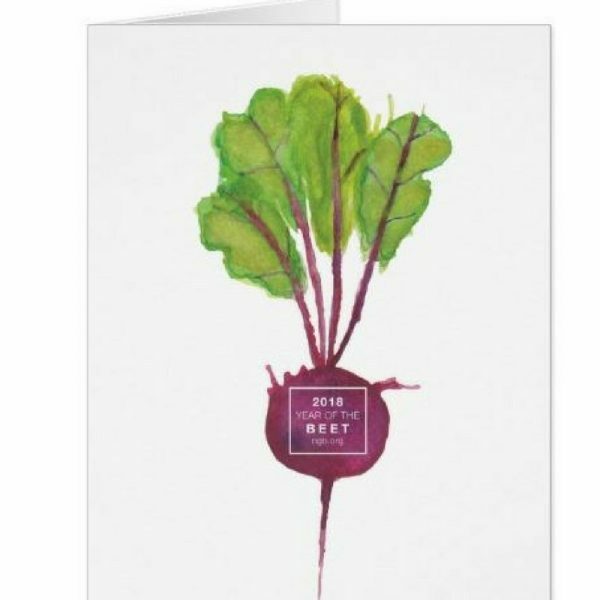 Send your best wishes to anyone with these Year of the Beet notecards. 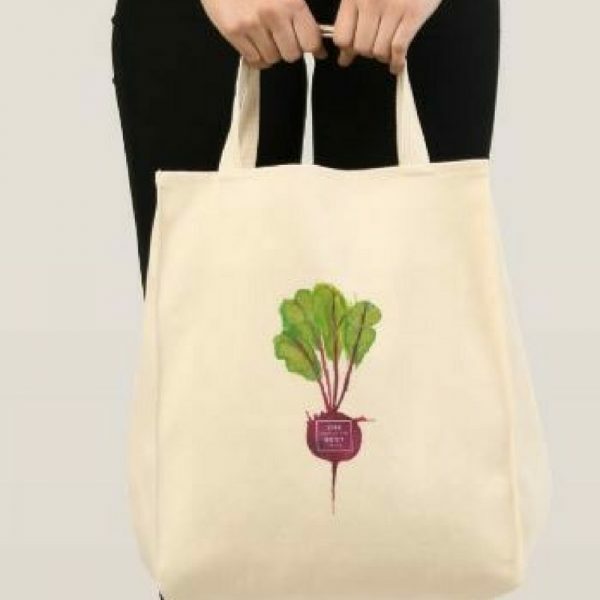 Carry all your grocery and garden veggies easily with this Year of the Beet Tote Bag!